Find out what Fatigue is doing to your body — and how to turn it around. Sorry, but I just had to get that off my chest. Because it makes me sad to see friends, family, and patients living days, weeks, even years with a mindset they’re told is healthy — when instead it’s just making them sicker and sicker. In fact, it’s a message so pervasive that even doctors and medical professionals like myself can start to believe it, too. These scenario groups sound very different, but they are both experiencing effects of the fatigue lifestyle. And eventually, these symptoms will catch up to both groups in a bad, bad way. Because, even though culture has taught us that to be successful, you have to be tired all the time.. you aren’t meant to live in a state of exhaustion! Research has shown that fatigue is, in fact, an emotion created in the brain. 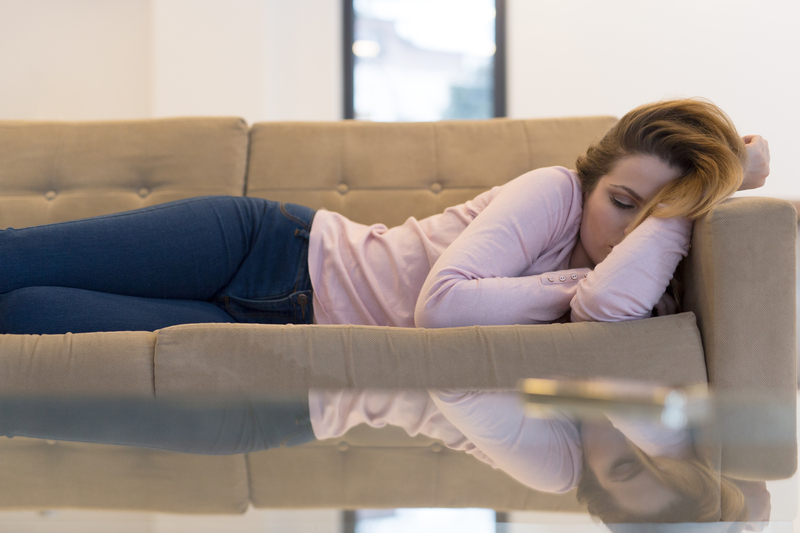 The combination of physical, mental, and emotional factors generates this feeling we call fatigue in an attempt to slow you down for recovery. It’s a symptom, your body actually telling you something is wrong. Unfortunately, at the heart of all popular life plans — including exercise/diet programs — is the underlying belief that fatigue, soreness, and being worn-out are good things and are supposed to happen! But it’s no surprise things go wrong when you combine the stress of demanding, high-tech, living with vigorous exercise and popular restrictive dieting. The purpose of fatigue is to alert us to something wrong so that we can remedy the problem and shut off the high-alert state we are in. If we never turn it off, assuming it’s part of normal life, our raging bodies will begin to fall apart. All of these have been tied to the debilitating effects of chronic stress on the body. And these effects can compound! In some individuals, autonomic dysfunction and severe fatigue occurs at a much lower than expected level of intensity. This means you don’t have to run a marathon to experience this problem. This commonly causes confusion for doctors trying to figure out why healthy-looking people feel so bad. It all comes down to the weight of your Allostatic load. Every day you collect something medical professionals call the Allostatic Load or, simply put: repetitive damage or destruction of the mind and body. It is caused by continuing harmful activity (stress) that challenges the body’s and mind’s normal adaptation capability. Your body can continue to function well under low-stress levels — or higher levels that are processed and managed efficiently. But as your body attempts to carry the allostatic load of fatigue lifestyle, it sputters. It glitches. And the physiologic consequences of repeated or chronic stress can fast-track disease processes and, in general, make you really feel terrible. Do you work out excessively? Does your occupation involve manual labor? Is your diet supporting the energy you expend? Are you getting at least 7 hours of uninterrupted sleep a night? Are you encouraged and motivated by your work each day? Have you set reachable goals? At the end of the day do you have margin for winding down your mind and body? Are you sad and tired more often? Do you feel you have relational/emotional support? Do you feel like you can manage time well? Are you surrounded by meaningful relationships? Is your work/living space organized or cluttered? Is your relationship with friends, family, or significant other uplifting or discouraging? Is your work environment conducive to productivity? Many of us experience these problems, but instead of dealing with them, we tuck them away, hoping our bodies and minds will move on. But they won’t. Your body has an amazing memory — even if you don’t always feel like it. In other words: when it detects extreme stress, protective mechanisms activate to try and prevent you from doing it again. Ever wonder why the low- to no-carb diet worked the first time but not again? If you never process and manage your stress, physically or mentally, your body carries that stress into the next day and then the next, increases your allostatic load. This leads to a weakened response to the next round of stress, and the cycle continues! Fatigue keeps you from thriving. Breaking the cycle of fatigue takes initiative! But it’s so worth the extra step. Based on your allostatic issues, look at the corresponding tips — though any and all of them will make a wonderful boost for your health — and see which ones work best for you. Mom wasn’t lying. Breakfast will set you up for success in more ways than one. (Click here to learn more about a healthy diet). To avoid that afternoon crash, keep yourself fueled. Set goals for the day, week, quarter, or year. Talk to a friend, therapist, or other professional if you are experiencing prolonged periods of sadness, hopelessness, or anxiety. Note your stress coping mechanisms. Netflix? Alcohol? Running? Cleaning? Obviously, some are healthier than others, but keep an eye on moderation. Take the time to cultivate your environment, whether that’s your house or an office, and make the place in which you spend the most time a peaceful, creative, uplifting area. Avoid places that trigger unhealthy coping mechanisms. Look for ways to use your talents/strengths at work or in a hobby you enjoy. Now you know the truth! You weren’t made to live fatigued… so don’t settle for it even one more day. To dive deeper into this topic, I invite you to listen to my podcast on Allostatic Load here.